We’ve grown used to seeing Robert Downey Jr. in the Iron Man suit over the past couple years, and it’s been a while since he’s done any serious dramatic acting, so can the once and future Tony Stark win an Oscar? Perhaps he’ll finally get the golden statue for ‘The Judge,’ as it seems he’s chasing one going by the film’s first trailer. 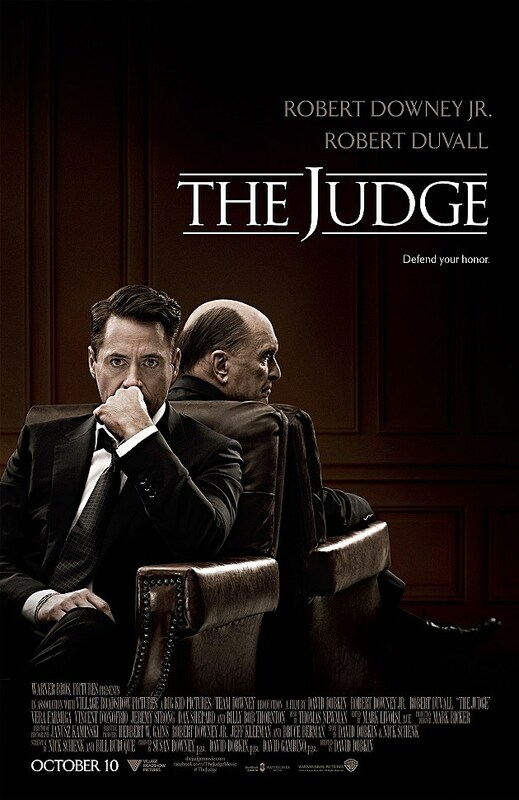 Here Downey Jr. (who debuted the trailer via his twitter account) is a hotshot lawyer who comes home to defend his father (Robert Duvall) from a murder charge. Oh, also he hates his dad. And there’s a bartender (Vera Farmiga) in the town that’s cute. And the district attorney (Billy Bob Thornton) looks to be exceptionally skilled. And it looks like he need to reconnect with his inner humanity as he mostly defends scumbags. Honestly, this looks like a throwback to the run of John Grisham adaptations done about twenty years ago, which is both good and bad. It will also be interesting to see how David Dobkin (who’s most famous for directing ‘The Wedding Crashers’) handles the material, which looks very familiar.